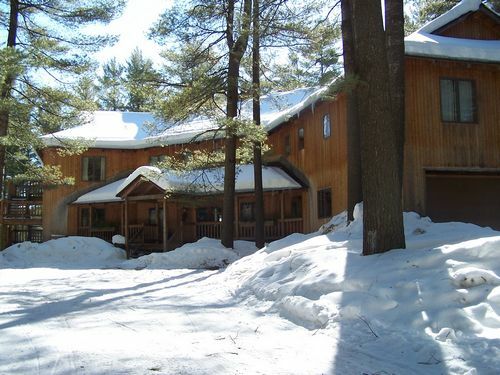 Large Adirondack Lodge - Great location to Discover the beauty of the adirondacks, this unique Otter Creek Lodge. 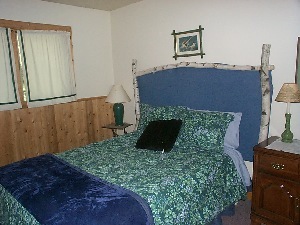 The lodge, built in 1990 on over 100 acres, overlooks a small private lake. 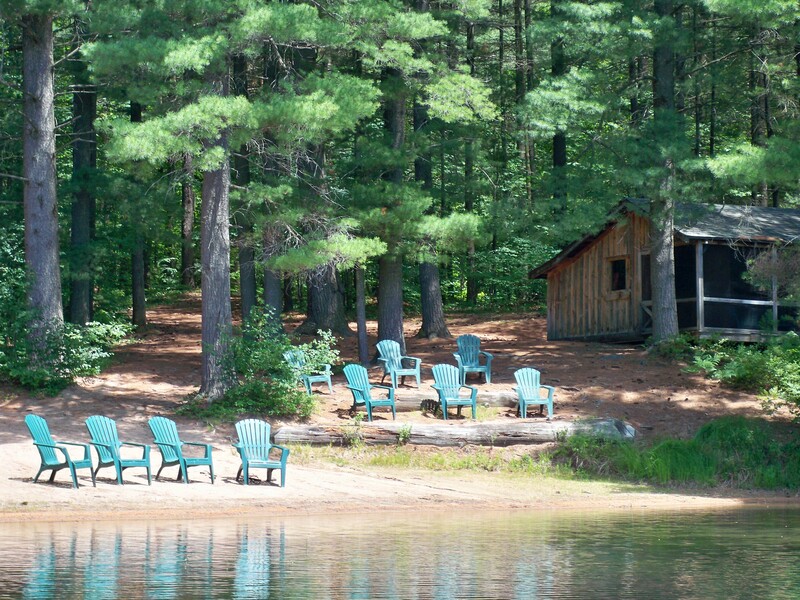 Situated in a tall pine forest, Otter Creek Lodge is crafted in the tradition of the great camps of the Adirondacks. 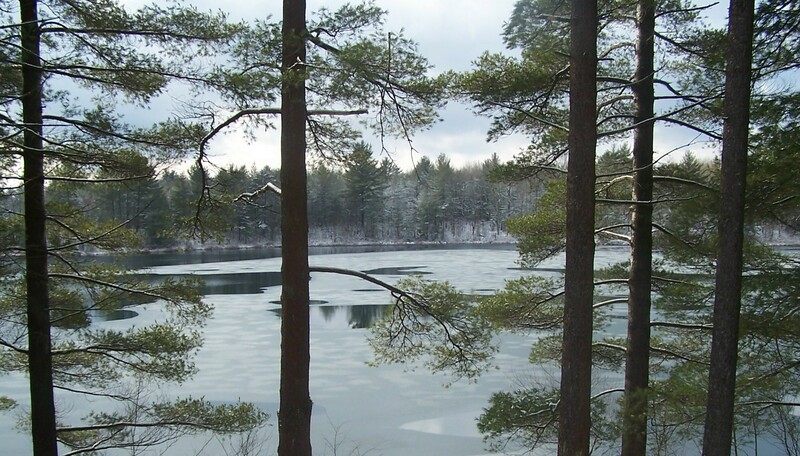 Adirondack Park lands surround the property, connecting it to hundreds of miles of Adirondack State trails. 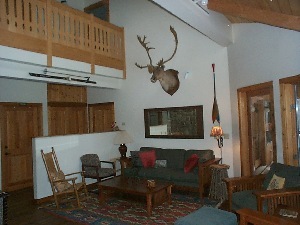 The lodge is ideal for skiing, snowmobiling, horseback riding, biking and hiking. 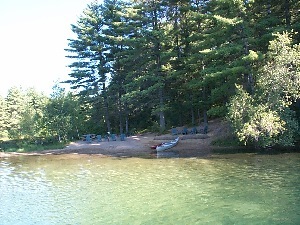 With 800 feet of lake frontage and a large sandy beach, there may be no better place to swim. The 12 bedrooms and 10 baths make the property a rare find for private functions. 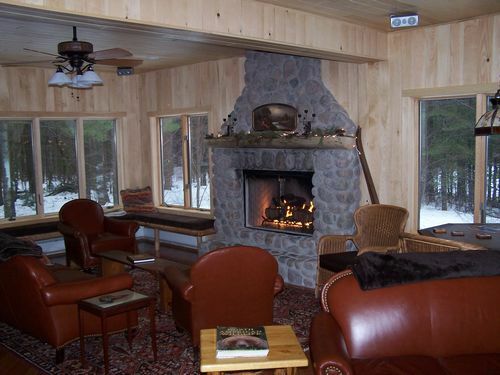 Otter Creek Lodge is perfect for family reunions, snowmobile groups, outdoor enthusiast groups, and small corporate retreats. 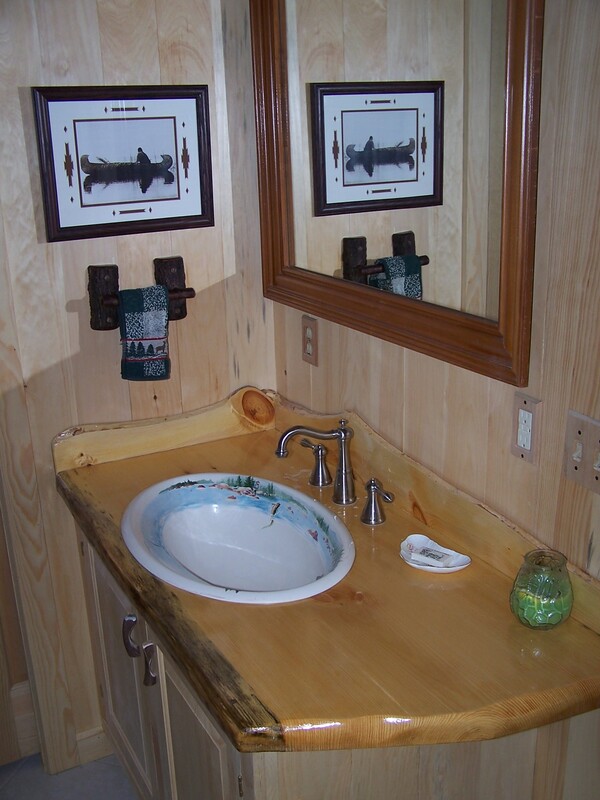 The lodge, detailed in traditional Adirondack decor, will comfortably sleep 24. 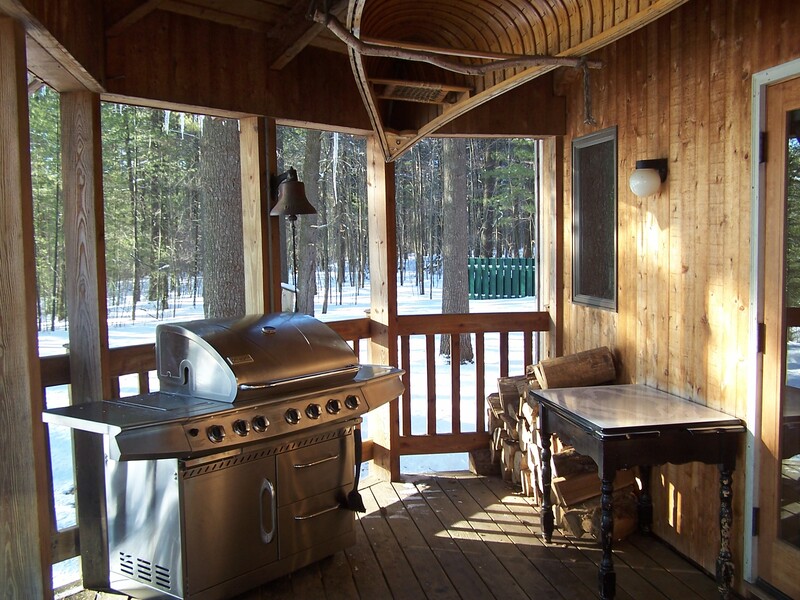 Situated in a wilderness setting within the Adirondack Park with direct access to hundreds of miles of Adirondack State trails. 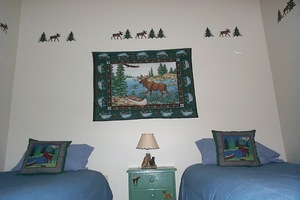 Enjoy cross country skiing, snowmobiling, horseback riding, mountain biking, hunting and fishing. Available on a weekly basis during the summer and weekends during the rest of the year. Sleeps up to 24 comfortably. 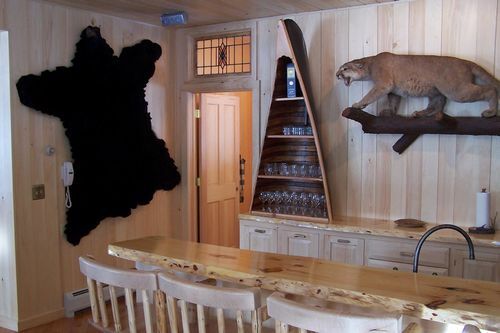 The lodge is very private and has over 6500 sq/ft of upscale accommodations, featuring a large commercial kitchen, large great room and separate dining room that will each seat 24 people comfortably. 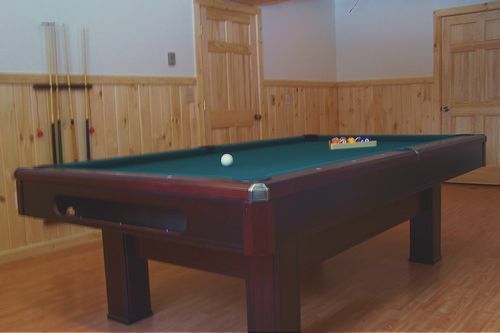 There is an additional 2 living rooms and separate billiard room. 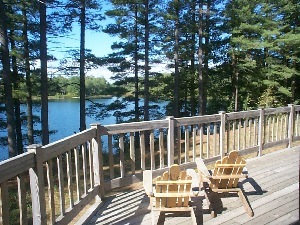 There is a large deck and screened porch overlooking the lake. 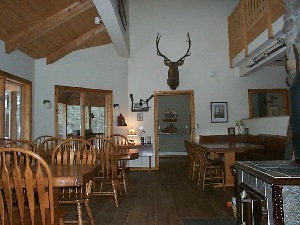 The lodge receives 200"-300" of snow annually and is Ideal for snowmobiling. 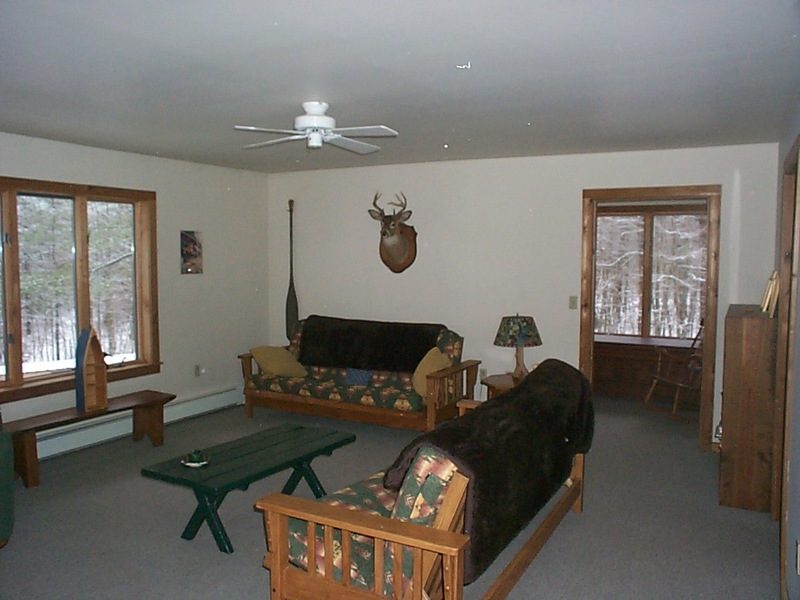 Located within the 65-mile Otter Creek Horse Trail System with direct access to the horse trails for hiking and biking and to snowmobile corridor 8A connecting you to hundreds of miles of groomed state trails. Easy access to Brantingham, Old Forge and Tug Hill. If you cancel your reservation, you agree to forfeit any money that has been paid for the rental, not to exceed the full amount of the rental, provided the Lodge is not rented to another party for the same period. If the Lodge is rented to another party for the same period, you will be reimbursed all funds except a $100 cancellation fee. 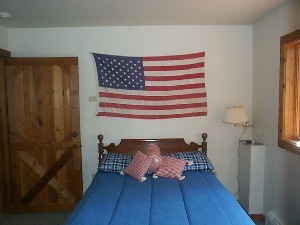 We will make every attempt to rent the Lodge for the time frame you are canceling. The Lodge is not responsible for weather and reservations cannot be canceled due to weather. 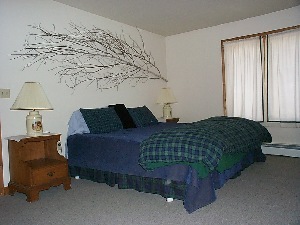 The bedrooms are decorated in the comfortable Adirondack style with views of the surrounding scenery. A total of 12 guest bedrooms and 10 baths; featuring a suite with a king size bed, living room, bath, private entrance and wood burning stove; a 2 bedroom suite with an adjoining bath with one full size bed and 2 single beds; 5 bedrooms with private baths, 1 with a king size bed, 4 with queen size beds; 2 bedrooms with 2 single beds in each and 1.5 baths on the main level; 2 additional bedrooms with queen size beds and a shared full bath on the rear ground level. 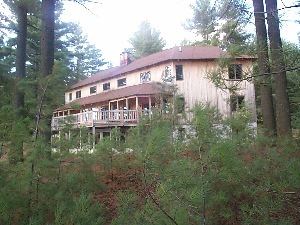 Large 2-story living/dining/great room with cherry floor, big game mounts and massive free-standing stone chimney with soapstone wood burning stove. 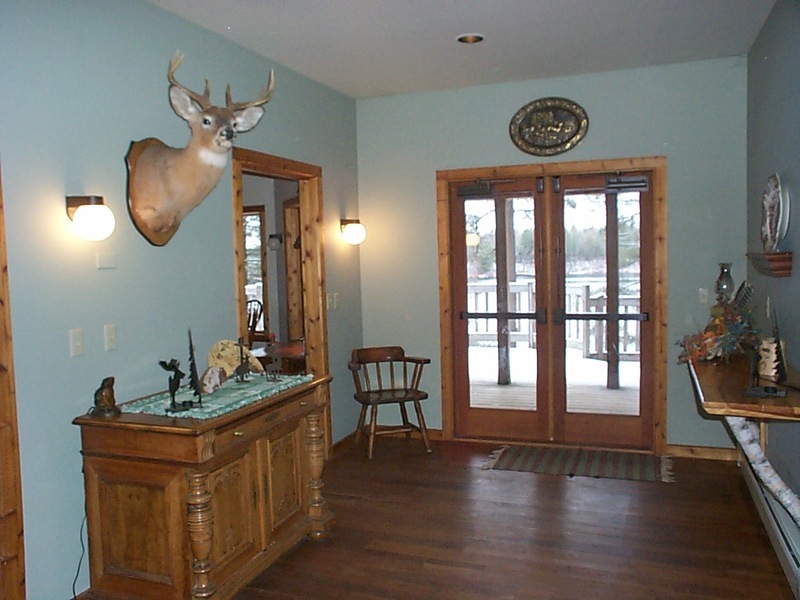 The great room enjoys panoramic views of the lake with access to the large screened-in porch and deck as well as the second living room. 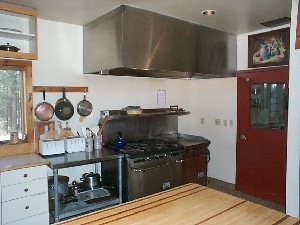 Large commercially equipped kitchen with 2 stoves, gas grills, outdoor gas grill, 2 refrigerators and a freezer. 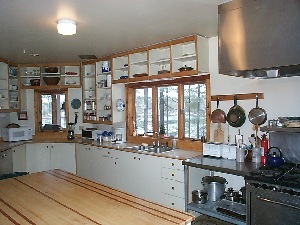 Large center island, high speed dishwasher, microwave and coffee maker. Large pantry area and storage with washer and dryer. Catering service available upon request. 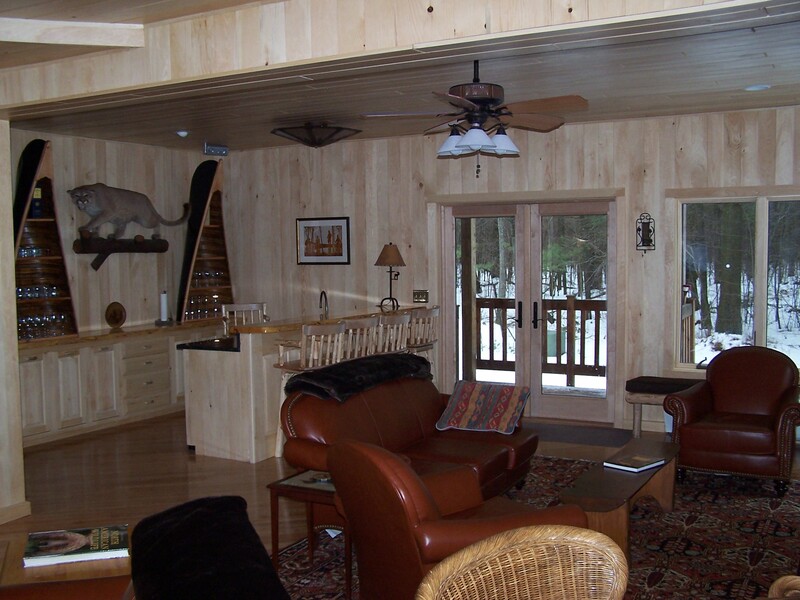 A second living room is located adjacent to the great room and has a TV/VCR/CD/Stereo player. 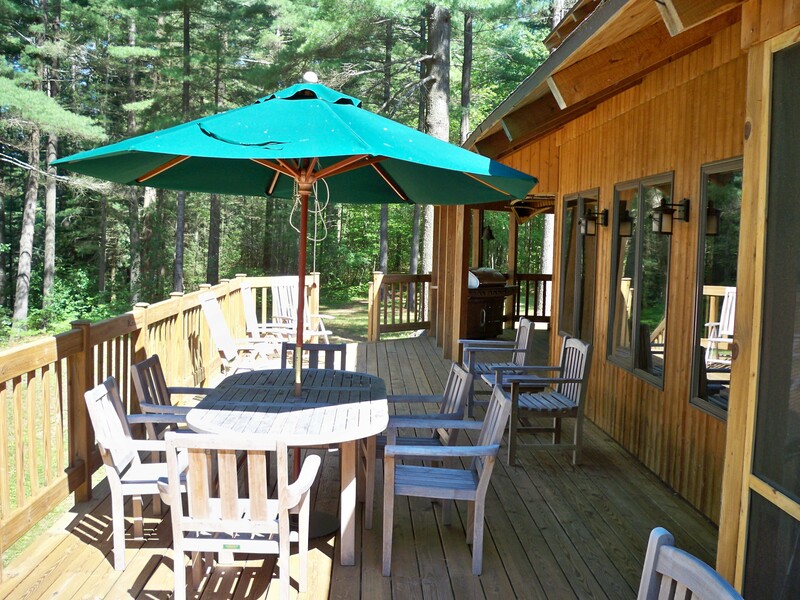 The large deck and screened in porch are perfect for gathering on a warm spring or summer night. 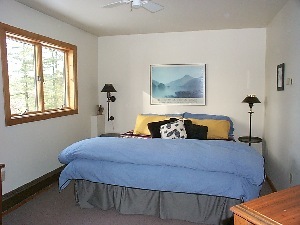 A third living room is located on the second floor and has a wood burning stove and 2 full size futon/sofas. over 100 wooded acres. 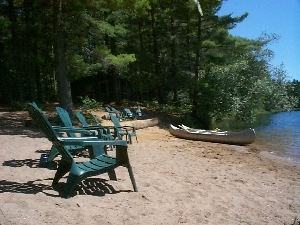 20 acre lake with large level sandy beach area. Two canoes, two kayaks and swimming raft. Overnight horse stalls for up to 18 horses. Volleyball court. Extensive trail system for hiking, biking, horse riding, skiing and snowmobiling. “We had a great weekend. We love the place so much. It just couldn't have been better.